The Rolex faithful are a tricky crowd to keep happy. It seems that every innovation brought out by the brand, of which there are plenty, keeps fans satisfied for a little while before the clamoring starts up again for the next big thing. 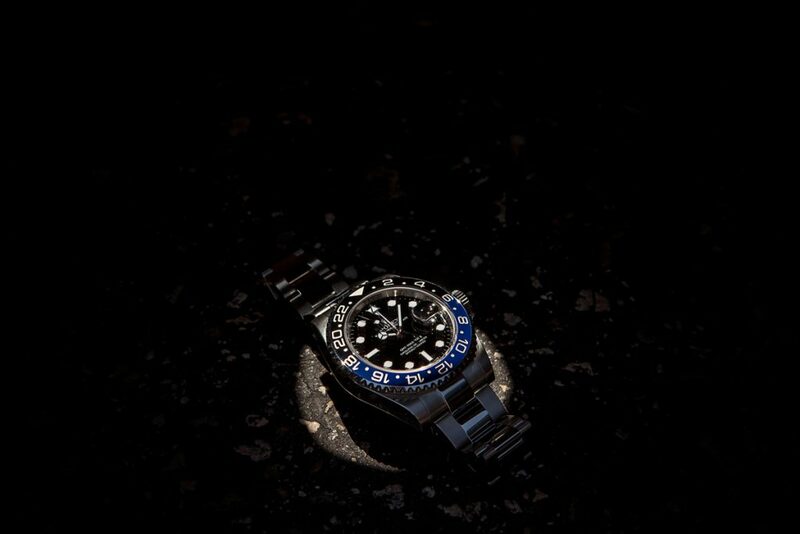 The GMT-Master is a case in point. When the original version was released in 1953, it became the first watch to simultaneously display two time zones and was aimed very much at airline pilots—more precisely Pan Am, who collaborated on the design to help their long haul flyers deal with jet lag. 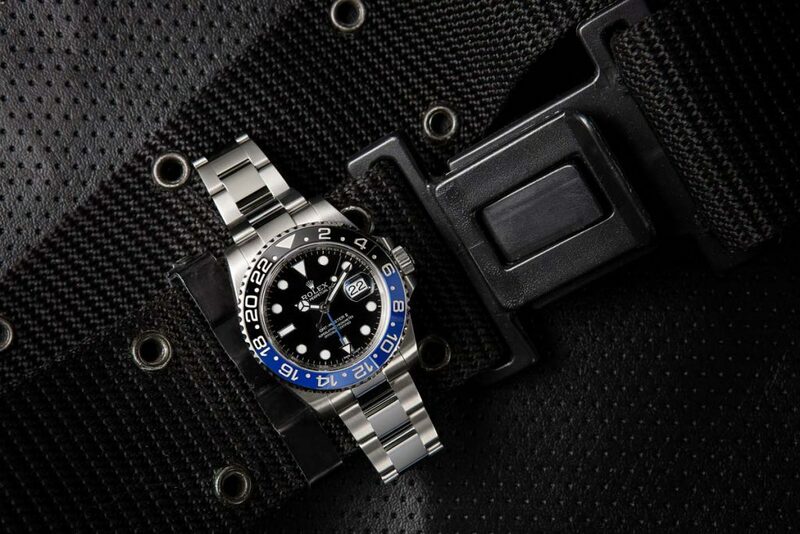 The Rolex GMT-Master II BLNR is a watch with a few upgrades over the years. The two-tone bezel, half blue and half red, was an elegant way for wearers to determine between night and day at a glance and also gave the watch its signature look. An immediate success, the watch went through only relatively superficial upgrades over its lifespan until the ‘Fat Lady’ appeared in 1983, the unofficial nickname for the first of the new era of GMT-Master II’s. Sporting larger crown guards and a thicker case, it also debuted a new color scheme, this time a black and red surround that quickly became known as the ‘Coke’ bezel. The Fat Lady introduced the GMT-Master II to the public. So far, so good. However, the anodized aluminum Rolex had been using for their bezels after the original Bakelite proved too brittle, while exceptionally strong, was still subject to scratching and fading over time. The solution was for the company to create their own replacement ceramic material, Cerachrom. Practically indestructible, Cerachrom is also unaffected by sunlight or the rigors of exposure to chlorinated or sea water. 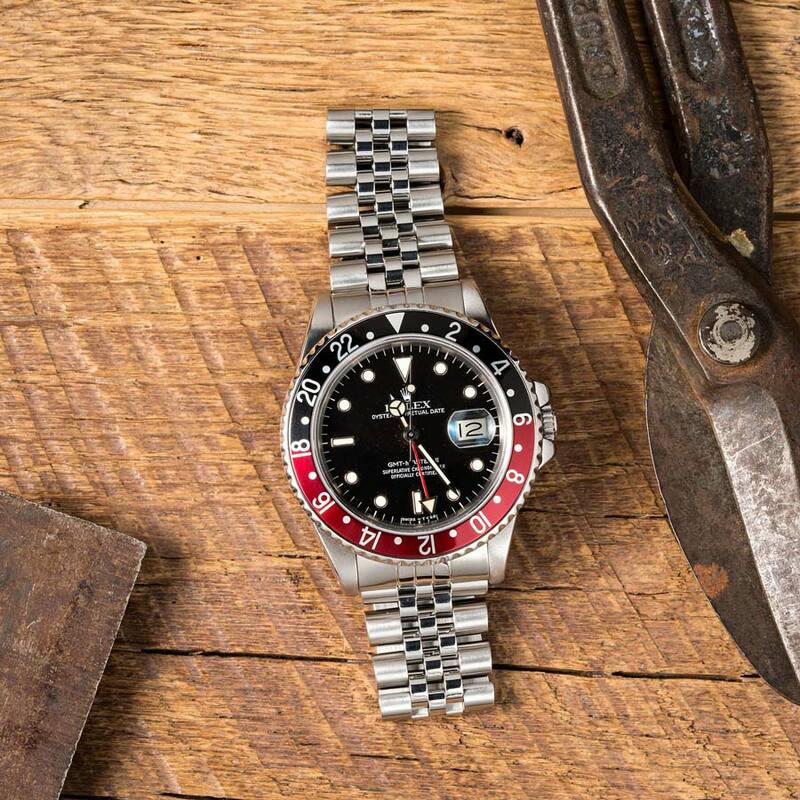 The problem with the new ultra-tough Cerachrom was, it was a much more difficult material to work with and, according to Rolex themselves, impossible to add a bi-color scheme to. When the first of this new breed was unveiled in 2005, the much-loved ‘Coke’ and ‘Pepsi’ models, and the golden brown of the ‘Root Beer’, had been replaced with a uniformly black bezel. 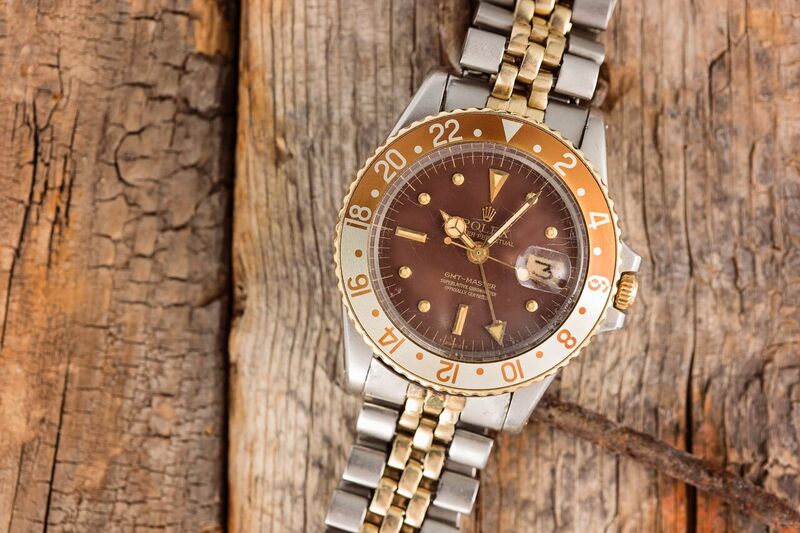 The Rolex GMT-Master Root Beer comes with a brown and creamy color bezel. 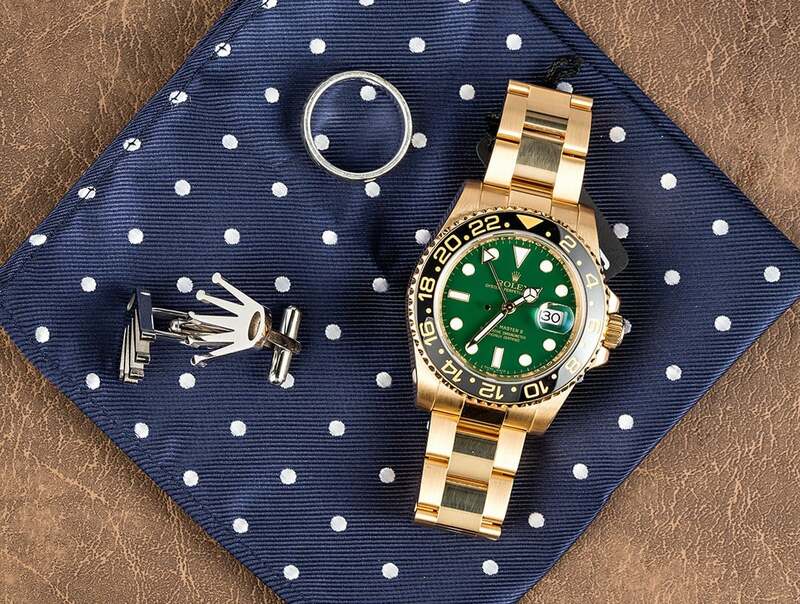 This anniversary edition, all gold with a dial in Rolex’s trademark green, was beautifully elegant, but some felt this ‘Lunette Noire’ GMT (ref. 116718LN) was missing the very thing that made the piece so instantly recognizable in the first place. A two-tone bezel was very much conspicuous by its absence. Anniversary Rolex GMT-Master II ref. 116718 comes in all gold. The steel version available today was introduced in 2007 and features a number of upgrades on its predecessor both inside and out. The 3186 caliber movement now includes the antimagnetic Parachrom Bleu hairspring made from niobium and zirconium that offers 10 times more shock resistance than traditional hairsprings. On the outside, the new maxi dial improves the watch’s legibility with fatter hands and markers and the larger case and Triplock crown gives it a look bigger than its actual 40mm. A new bracelet also found its way onto the current version, with the Easylink extension and polished center links that gave the GMT a slightly more formal look than the Submariner. But it wasn’t until 2013 that impatient devotees finally got what they’d been calling for for years, when Rolex managed the impossible and perfected the process of adding a second color to the new ceramic. The ceramic bezel on the watch is resistant to fading and scratching. Unveiled at Baselworld, the choice of color scheme for the new reference 116710BLNR caught more than a few people unawares. The brand had never used blue and black in their previous collection and the combination came as a surprise. Even so, it arguably makes more sense than any of the earlier iterations, considering its original purpose—to help differentiate between night and day. Now, blue equals daytime, black is for the night. And speaking of the night, it took no time at all for the new watch to gain its nickname—The Batman! There’s no word on how long Rolex were actually working on the problem of coming up with a dual-color ceramic, but as you would expect, it is a technically impressive exercise. 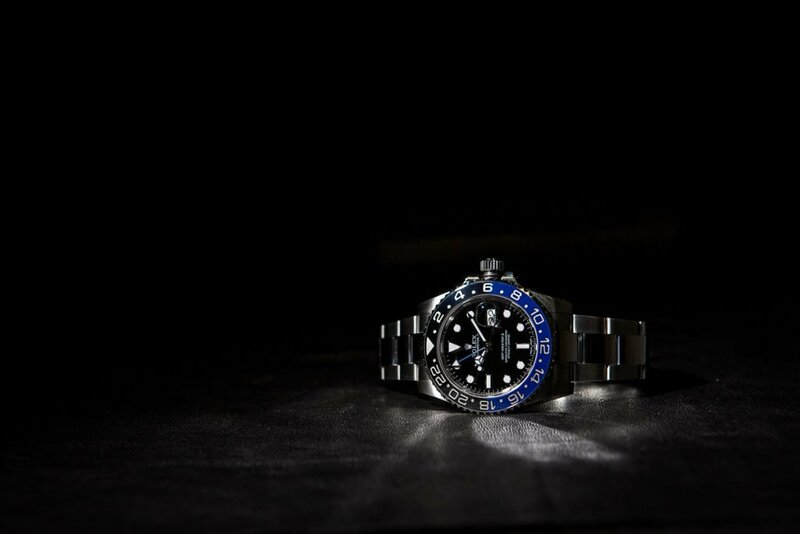 Starting out entirely blue, the process involves masking off half of the bezel, before exposing the other half to a Rolex patented chemical process to achieve the black coloring. It’s a typically flawless shift between the two tones, with no hint of a bleed or any blurring where the lines fuse. The Batman is a great timepiece for its ability to keep track of time in different timezones. The properties of Cerachrom are in evidence here in the changing of hue in the watch’s blue portion. 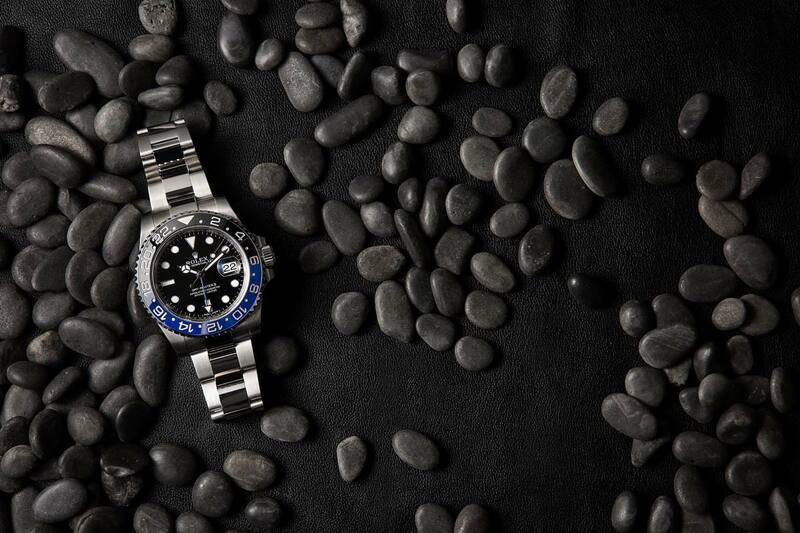 Much like the green ceramic that surrounds The Hulk Submariner, the blue in the GMT-Master II is an active element, shifting in tone according to the light. A deep ultramarine in direct sunlight, it dips to almost purple in darker conditions. To top off the aesthetics, a fine coating of platinum is also added to the engraved numerals on the bidirectional bezel to give them a three-dimensional appeal, and the green, arrow-tipped ‘home’ hand of the original has been replaced with a blue one. This Batman will be a classic watch in the future. Eminently functional and distinctive in appearance, it makes a versatile and robust travel companion.